If you’re looking for something a little less formal than our Gala Party Nights and your weekends in December are filling up fast…then our Christmas Party Nights are what you’re looking for. 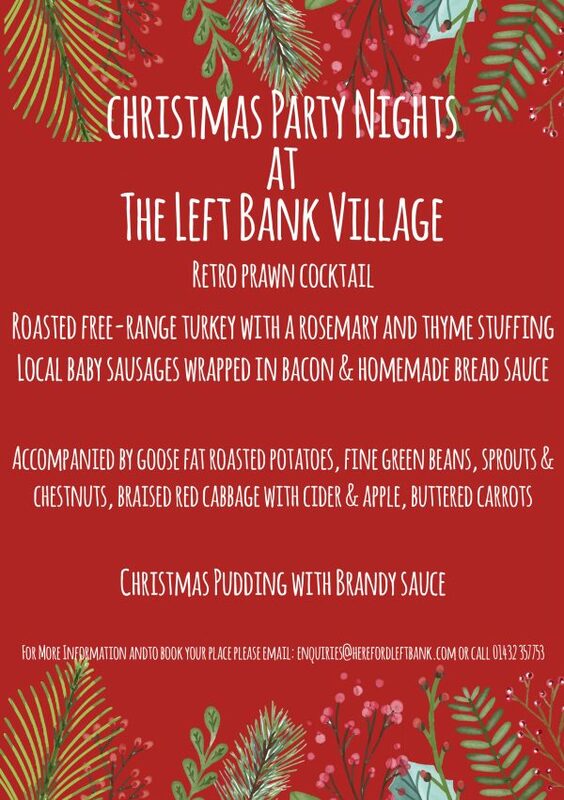 Perfect for larger group’s (50-150) you will be welcomed to the middle floor of the Left Bank Village for a Traditional Christmas Menu, then you and your guests can dance the night away with our resident DJ until late. Our set menu, encompasses all that is Traditional Christmas – if you have any guests with specific dietary requirements, speak to us as we can easily accommodate all your dietary needs. A deposit of £15 per person secures your date with the balance payment due 30 days before your party. Available Monday – Thursday throughout December and January, email all call our friendly Events Team to discuss your requirements further.